If you rely on your shampoo and conditioner for giving your hair the lost thickness and length, you are mistaken! These chemical-infused hair products are no good for hair in the long run. What you should do is eat healthy, exercise regularly, and take advantage of nature’s simple yet effective beauty solutions. One of these is coconut oil. It can be used topically and internally to enhance overall health and promote the growth of long, strong, beautiful hair. 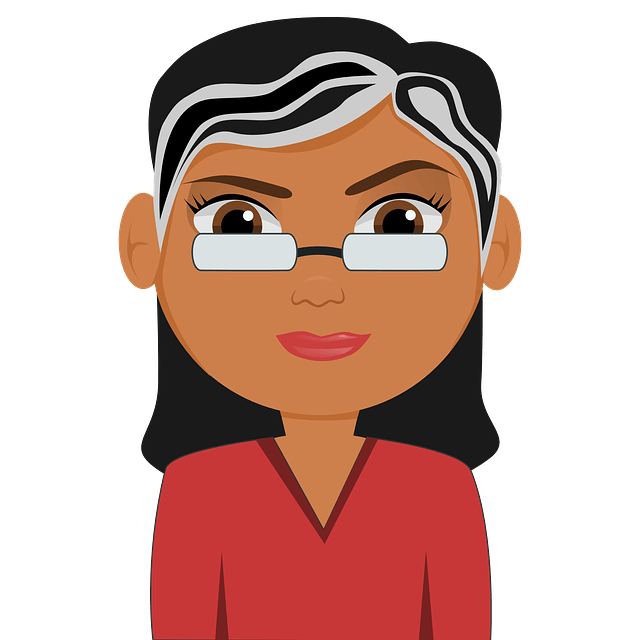 We’re about to tell you how to use it, but first, take a look at why it works. Use it as your regular cooking oil in order to improve overall health, and try all the methods below until you find the one that works best for you. Warm a jar of coconut oil in warm water. Wash hair with warm water and use fingertips to apply coconut oil on damp scalp. Comb oil through hair, cover with shower cap, and leave on 1 hour or overnight. Conditioner is not necessary as coconut oil serves the same functions. This process stimulates the hair, scalp and follicles without clogging and causing hair loss. Note: Apply some coconut oil to hair after shampooing to moisturize and conditioner your hair to dry, dull and brittle hair. Mix 4 tablespoons of conditioner and 3 tablespoons of cold pressed virgin coconut oil. Apply mixture to damp scalp, massaging in circles for 3 minutes. Comb mixture through hair, cover with shower cap, and leave on 2-3 hours. Rinse with water, wash with natural shampoo, and towel dry. Mix coconut oil and lemon juice in 2:1 ratio. Apply to the scalp and massage mixture for 3 minutes. Comb mixture through hair, cover with shower cap, and leave on overnight. Rinse with cool water, wash with natural shampoo, and towel dry. Note: Lemon juice detoxifies the scalp and hair to prevent dandruff. Add few drops of almond oil to enough of coconut oil. Massage on your scalp for 5 minutes. Gently comb mixture through hair, cover with shower cap, and leave on 1 hour. Melt 2 tablespoons of coconut oi and stir in 1 tablespoon of dried gooseberry. Warm enough coconut oil and apply on the scalp and hair. This process moisturizes scalp and conditions hair, prevents split ends and promotes healthy hair growth. Separate your hair into 2 parts and apply from scalp to tips. Wrap in warm shower cap or warm towel, and leave on 2 hours or overnight. Mix 1 teaspoon of olive oil in sufficient amount of coconut oil. Apply on the scalp and massage gently for 5 minutes. Leave it on for few minutes and then rinse it off with mild shampoo and water. Try these homemade hair masks to get healthy hair. This mask helps to treat dry and damaged hair and makes your hair soft, smooth and healthy. Apply to scalp and hair and warp in shower cap, and leave on 40 minutes. Melt a jar of coconut oil in warm water. Stir in ½ teaspoon of basil oil, lavender oil, peppermint oil, rosemary oil, or ylang ylang. Pour in a container and take sufficient amount of oil. Apply on dry hair and gently comb mixture through hair. Cover with shower cap, and leave on 2 hours or overnight. The iron, potassium, proteins, and essential fats and minerals in coconut strengthen hair from root to tip while nourishing the scalp to promote the growth of thick, healthy hair. Apply mixture on the scalp and leave for 20 minutes. Grate a piece of coconut to extract the milk. Let it be on overnight, then rinse with warm water and towel dry. Repeat daily for maximum benefit. Try making your own organic coconut oil at home with these simple methods. Use a sharp knife to split a mature brown coconut in half. Use a knife to scrape the meat from the insides of the shell. Grate the coconut meat, then puree it in a blender. Strain through cheesecloth multiple times to extract milk. Pour strained milk into air-tight container and let stand for 24 hours. A layer of curd will form on the surface. Scrape it off to reveal pure 100% coconut oil. This one is a super effective coconut oil for hair growth recipe that you should try! Cut coconut in half, scrape out meat, and grate it. Put hot water and grated coconut into blender and puree. Strain through cheesecloth and transfer into sauce pan. Stir constantly until water has evaporated, leaving brown cream. Let cool and transfer into glass jar. Coconut oil can be used to encourage hair growth in babies. Warm 1 tablespoon of organic coconut oil until it is comfortable to touch. Massage the melted oil into your baby’s scalp, rubbing gently in circles for 5 minutes. In the morning, rinse it off with lukewarm water and towel dry. For best results, follow the advice below when using coconut oil to promote hair growth. Do not use curling or straightening irons. Avoid commercial hair styling products that contain harsh chemicals. Eat a healthy diet that includes plenty of fresh fruits and vegetables. Having you tried using coconut oil to promote hair growth? Do you know any other methods we haven’t mentioned? Share your experience with us! Cant wait to give these a try! Where do you get all of these recipes from? Id like to experiment with my own too. Im just confused about where to start. What is the expiration date on these? You have to prepare the recipes on your own. You can get these ingredients in any local store. You have to use them immediately for best results. I wanted to ask a question, I’ve been using the haii mask of (coconut oil, egg yolk, raw honey, yogurt) for more than 2 months and there’re no remarkable changes, my problem is that i was depressed for more than 4 months so i lost much hairrr, i can’t regain it back by this mask, what am i doing wrong? How long will it make my hair grow if I leave it in for 2 hours? Apart from the using methods mentioned in the article, you have to consume nutritional diet. If you follow a healthy routine, you will surely improve hair growth. It is difficult to tell the exact time frame as everyone’s hair and scalp condition is different. So, try the process regularly until you notice the results. You can warm the coconut – olive oil mixture before application. Use mild shampoo to wash your hair. The problem you are facing may also be caused to the dye you use. So it is recommended to avoid dyeing your hair. My infant is experiencing hair lost from laying on her back. Is this safe to use for her? I used the coconut with raw honey method. The only thing I did differently was that I added an egg. I massage it in, let the mixture on my scalp overnight and rinse it out with warm water. Then I applied shampoo on my head. Otherwise, I just use the coconut oil method. I have dandruff on my hair.can I use coconut oil mixing with castor oil?and please tell me how to ged rid from dandruff and how could i have thick hair?? Does your hair have to be clean before applying the oil..? Yes, clean scalp and hair ensures better absorption of oils. hello i prepare misture of curry leaves and coconut oil bt after one mnth i fell my hairfall increase kuch sal pehle2-3 yrs back i only use simple coconut oil nthng else do wat can i do i m confused my hair is long and i want to become more long bt also increases the length and growth mujh pr har chiz suit nhi krti. 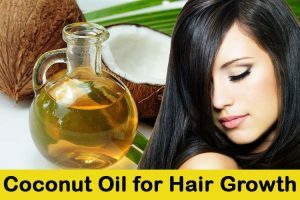 If the mixture of curry leaves and coconut oil has increased hair fall then stop using it and try other remedies mentioned in this article – http://homeremediesforlife.com/hair-growth/. There are many other things as well which you have to take care apart from following the remedies. Eating vitamin and nutrients rich foods helps to strengthen your hair growth from inside out. Stress levels also increase hair fall, so reduce it by performing meditation or breathing exercises. Try hot oil massages at least 2 times in a month, which increases blood circulation in the scalp. Drink plenty of water to keep your scalp healthy and hydrated. Can i make my hair thick??? The properties of coconut oil help the new hairs to grow thick. Apart from that, you have to eat nutritional diet and strengthen your immune system. Why is it advisable to wash off coconut oil after applying it and carrying it for some hours. Why is it not advisable to apply coconut oil and leave it in In the hair after applying. Leaving coconut oil in the hair for a very longer period of time can attract the dust and dirt. This can lead to scalp infections. So leave the coconut oil application overnight or few hours and rinse off with water. I’m am black and have very thick hair will it work? How long does it take to see results? Yes, it will work. It is difficult to tell the exact time as everyone is different from one another. It may take few weeks to month to notice any positive improvements. Will you please tell me how to make basil oil without using olive oil or any other oil, if it is possible to make thus? Essential oils are made by distilling process. For a high quality basil essential oil you have to purchase it at any local or online store. to apply in scalp for hair growth, should i the warm the coconut oil or to be applied raw, without warmed? It depends on your convenience. However, warm coconut oil penetrates easily into the scalp and provides effective results. To get rid of the dry clumps on my scalp, how long should I leave the coconut oil in? Which recipe in here should I use that works best for that? Leave the coconut oil application for at least few hours. You can try 8,9 or 13 method mentioned in the article. have lost my hair especially infront and have seen some strands of white hair .what do I use to get rid of this. Try to follow any method mentioned above in the article. Apart from that, eat a nutritional food, rinse your hair 3 times in a week, try hot oil massage once in a week, reduce stress levels and drink plenty of water to keep the scalp hydrated. Hi admin..I hv a question…is it possible if i mix coconut oil with castor oil and raw honey?if yes.what is the measurement for every ingedients?tq.. Yes, you can. Combine equal quantities of coconut oil, castor oil and honey. For example, 2 – 3 tablespoons each of them based on the hair length. I have started using parachute coconut oil for getting a shining effect to my hair. What is your opinion? I bought it after reading the description mentioned in it. It contains almond and coconut oil. I don’t know how much it is effective. What is the maximum time that I can leave the coconut oil and lemon juice to dye gray hair. One article states 45 min to 1 hour and another states 2 hours. Can leave it in overnight. You can leave the application for 1 hour. Avoid leaving it for overnight as lemon can be harsh on your hair if left for a longer period of time. It is difficult to tell the exact method as all methods are effective in controlling hair loss and strengthening the hair growth. You can try anyone as per your preference. As hair loss during menopause is caused due to hormonal imbalance in the body, we recommend concentrating more on eating immune boosting foods. You can mix coconut oil and lemon juice. Apply the mixture along the hair and leave it on for 1 hour and rinse off the application. Repeat the process regularly to gray your hair. so since then I have been wondering what I can mix with the oil to relieve, and maybe in due time cure, the little flake shed problem I’ve been experiencing? I want to know your thoughts… I was thinking the coco oil and lemon juice method.. but I’m not sure.. Yes, you can try coconut oil and lemon juice for relief from itching and flakes. You can try 6, 8, or 13th method mentioned in the above article. Apart from that, eat nutritious food and drink plenty of water. Can I use CBC cocunat oil for hair growth ? : Yes, you can if it is pure and organic. Does this remedy work for all types of hair? Yes, it helps for all types of hair however the time period for achieving results may vary. How i grow hairs on my side of the forhead my left side have no hairs..? You have to repeat the process regularly as specified until you achieve the results. The time duration for achieving the desired results depend on the hair follicle strength, scalp condition and other factors. i used sheen to straighten my wavy hair, but left it on to long and some of my hair got messed up and i tried to rectify where the hair was short and damaged, but messed it up further and had to cut off all my hair – even much shorter than a number one cut. i hate myself for that and i constantly am wearing a baseball cap, cause short hair does not suit me at all. heard about coconut oil to massage my scalp. Will this improve faster hair growth – and how much faster and will it be noticeable – time period ? The lauric acid, capric acid and other essential fatty acids present in coconut oil strengthen the hair follicles and reduce the breakage. When it is massaged into the scalp, it improves blood circulation which ensure adequate amount oxygen and nutrients for hair growth. It difficult to mention the exact time frame as everyone is different. However you will improvement in 2 – 3 months. I have been using coconut oil with egg mask and my hair is passed shoulder lenght but I still use flat iron in my hair.. Will it stop my growing process ? It is better to avoid flat ironing your hair as it can cause damage to your hair and prevent it from growing. I was wondering if any of the numbered treatments would work to restore my thinning eyebrows. The hair thinning can be due to your aging. Coconut oil may help so you can try it and see if it is working. Does your hair have to be clean (from sweat) before applying coconut oil + honey. I would like to apply it after my workout and then shower. Can I also use it while i workout or would I just sweat it off? Oil moisturizing cream, in, my hair? And how long to keep it in hair, b4, washing hair?? ?